Fully working, never used. Board Form Factor Custom 6.8" x 18.9". Chassis Form Factor 2U Rack. # of Serial Ports 1. Total # of SATA Ports 6. USB Revision 2.0. P220i/512MB FBWC. 2x AMD OPTERON 6212 2.60GHz OCTA CORE CPU. Proliant BL460C Gen 8. Isle of Wight. Isle of Man. Location Code: SCr2/r3 box 40. However we may use our discretion also to provide the safest and best service. Right of cancellation does not apply to audio or video recordings or computer software if they have been unsealed. Dell PowerEdge M420 CTO Including 1 x Dell PowerEdge M420 Blade Server Chassis. 1 x Dell PowerEdge M420 Motherboard. 2 x Dell PowerEdge M420 Heatsinks. Dell PowerEdge is a trademark of Dell Inc. HP is a trademark of HP Inc.
HP Proliant BL460c Gen 8. HP FlexFabric 10Gb Flexible LOM (641016-B21. CTO Chassis. 2x Heat Sinks. We are able to source hard to find parts for Legacy systems through to the latest new in box parts for the latest generations of servers & storage systems. ). 1x Dell PowerEdge M620 blade Oct-Core 2.0Ghz. One PowerEdge M620 blade server. 64gb Ram 8x8gb oc3-10600r. UK, longer for all other areas! However we may use our discretion also to provide the safest and best service. 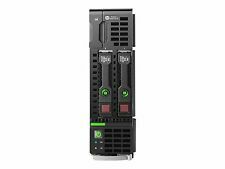 HP BL660C G8 BLADE SERVER 679118-B21. 4 x E5-4640 V2 10 Core CPU's (40 Core Total). We Also Record Serial Numbers. Add to Favourites. 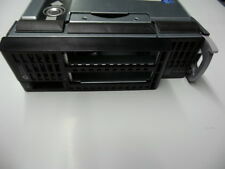 Proliant BL460C Gen 8 724084-b21 cto. 2 Heatsink only no Processors fitted. We will do everything we can to rectify the problem! Right of cancellation does not apply to audio or video recordings or computer software if they have been unsealed. HP BL460c Gen8 E5-2667 2P. 2x 6 CORE E5-2667v1. Scottish Islands. Serial numbers : All relevant serial numbers are logged in a data base, we also use warranty stickers where appropriate. These stickers are designed to break if removed or tampered with. HP BL465c GEN8 G8 AMD Opteron 6234 12 core cpu 2 unit. 2.4GHz total 24 Cores. We will resolve the problem directly with you. Item Title. We will resolve the problem directly with you. 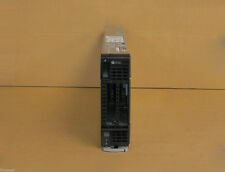 Model: ProLiant SL390s G7 (605080-B21) Left Tray Node. Total RAM modules DIMM DDR3 Synchronous 1333 MHz (0.8 ns) 4 GB. 100% Tested. Overall a really nice system. DIMM DDR3 Synchronous 1333 MHz (0.8 ns) 4 GB. 32GB DDR3 RAM (4x8GB). No Hard Drives (2 x 2.5" Hard Drive Bays). Dell PowerEdge M1000E Blade Server Chassis Enclosure P/N 2DXH0. 2 X POWEREDGE M1000E V1.1. 9 x PowerEdge M1000e Fan Assembly. 1 x PowerEdge M1000e iKVM Switch Module. However we may use our discretion also to provide the safest and best service. 2 x HP 615727-001 ETHERNET 1GB 4-PORT 366M ADAPTER'S. 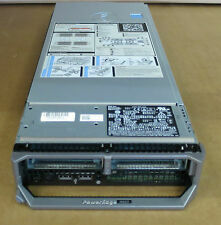 1 x Dell PowerEdge M520 Blade Server Chassis & Motherboard. Includes 2x Heatsinks, Chassis & Motherboard Only. Enclosure: M1000e Dell PowerEdge Blade Enclosure. 2 x Heatsinks. Form factor: Half-height blade. HP PROCURVE 6120XG BLADE SWITCH - 516733-B21 - 517994-001. What Makes Us Different?. 48GB RAM 12X 4GB pc8500r. Isle of Wight. Isle of Man. UK, longer for all other areas! Right of cancellation does not apply to audio or video recordings or computer software if they have been unsealed. 1X 434879-B21 HP BLC SB40C CTO STORAGE BLADE. 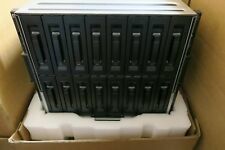 6X 500GB 1 PORT SAS 7.2K HDD included. 100% Genuine Item. Dell PowerEdge M620 Including Dell PowerEdge is a trademark of Dell Inc. HP is a trademark of HP Inc. PowerEdge is a trademark of Dell Inc. 8GB DDR3 RAM. LA Micro Group trading as Server Etc. 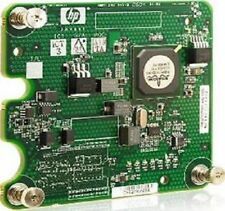 HP BL460C G8 654609-001 640870-001 716550-001 p220 BBU & CACHE. We will resolve the problem directly with you. 96GB RAM PC3-8500R. Isle of Wight. Isle of Man. UK, longer for all other areas! Right of cancellation does not apply to audio or video recordings or computer software if they have been unsealed. We will do everything we can to rectify the problem! 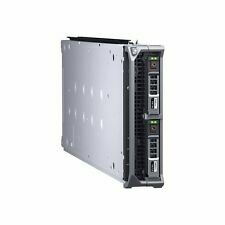 Dell PowerEdge FC630 Blade Server CTO 0741R0 E5-2600v4 CPU 24x DDR4 2x 2.5" Bays. 1x Dell PowerEdge FC630 Blade Server CTO 0741R0. An impressively powerful two-socket FX converged architecture server, the Dell PowerEdge FC630 is designed to be a workhorse for data centers looking for new levels of efficiency and density in an incredibly small footprint. XW460C Blades in chassis 92310. 2 x Quad-Core E5450 3.0GHz Processors. 2 x 146GB SAS 10k 2.5" hot plug drives. HP Blade Enclosure C7000 9 x Blades installed:-. Dell PowerEdge FC630 Half Height Server Block. H730P RAID Levels: 0, 1, 5, 6, 10, 50, 60. iDRAC8 Enterprise. An impressively powerful two-socket FX converged architecture server, the Dell PowerEdge FC630 is designed to be a workhorse for data centers looking for new levels of efficiency and density in an incredibly small footprint. 3D Labs VGA Graphics. SUN BLADE 1500 RED. SUN 375-3140 - Sun Blade 1500/2500 I/O PCI Combo Card USB & Firewire- ASY90145. NO Hard Drive is installed. We Also Record Serial Numbers. Fully Tested. 32x 16gb PC3-8500R RAM TOTAL OF 512GB. 32 cores i total. UK, longer for all other areas! Serial numbers : All relevant serial numbers are logged in a data base, we also use warranty stickers where appropriate. Complete with 2 x Heatsinks, HP Flex-10 10GB 2 Port 530FLB Adaaptor, 2 x 2.5" drive bays. HP BL460C G1. For sale are 1x HP BL460c G1 Blade. RAM - 32GB. Cache - 12MB. Picture is for illustration only the blade is shown inside the enclosure, but only the blade is for sale. Serial numbers : All relevant serial numbers are logged in a data base, we also use warranty stickers where appropriate. 2x 2.4GHz QC E5620 CPUs. Cisco B200 M2 blade. 32GB DDR3 RAM (2x 16GB dimms) UCS-MR-1X162RY-A 15-13615-01. Server Solutions. Dell JXJPT Including Dell PowerEdge is a trademark of Dell Inc. HP is a trademark of HP Inc. PowerEdge is a trademark of Dell Inc. IMAGES ARE FOR ILLUSTRATION PURPOSES . 900MHz UltraSPARC III Processor. - 73GB FC-AL Hard Disk Drive. Sun Microsystems Blade 1000 Workstation. Credit or Debit Card accepted Worldwide. All refurbished hard drives are data wiped to NCSC standards. Model: Dell PowerEdge M1000e. 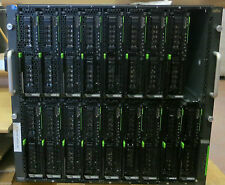 Interfaces: 1 x iKVM Installed 1 x CMC Installed 16 x Dell Blade Bays (8 x Blade Bay Blanks Included). All of our blade chassis are refurbished to a very high standard. The system is tested with all blades fully populated before dispatch. HP FlexFabric 554FLB Dual Port 10GB Network Card. HP Proliant BL460C G8 Including HP Proliant BL460C G8 2 x 2.5" Blade Chassis. 32GB DDR3 RAM. 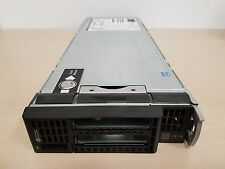 Dell PowerEdge is a trademark of Dell Inc. HP is a trademark of HP Inc.
Dell PowerEdge VRTX Shared Infrastructure Platform Blade Server Chassis 25x 2.5"